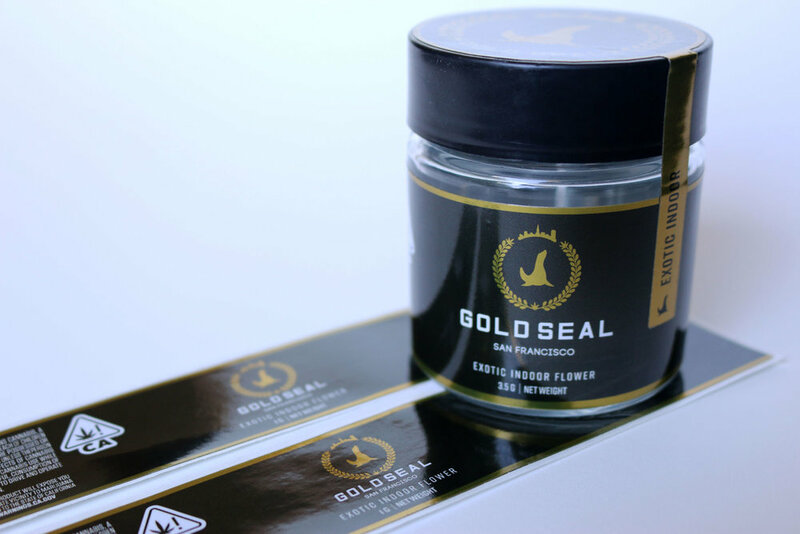 For this project I had the great fortune of working with Gold Seal, a San Francisco native cannabis company looking to tighten their label aesthetic as well as keep their labels compliant with the ever-changing laws governing the sale of cannabis. The client needed there to be two main labels for two different jar sizes. This required two different label sizes to be developed, both of which needed to conform to specific legal standards in order to be viable. 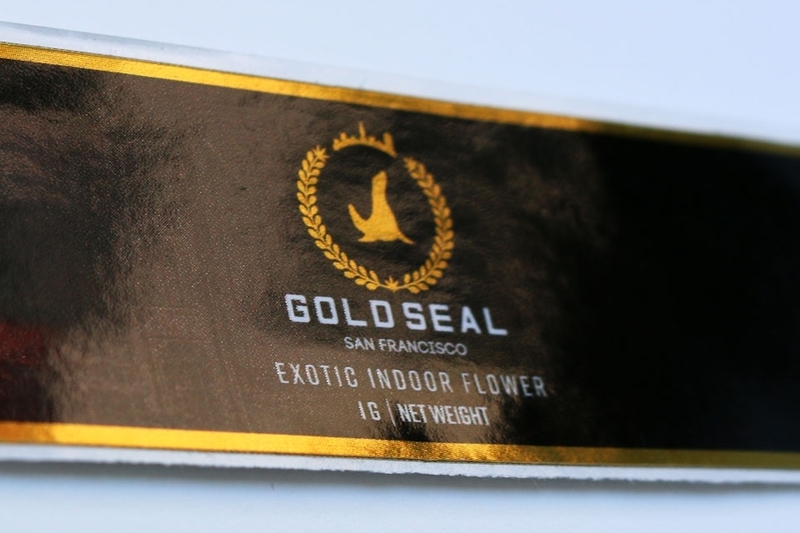 These labels are printed on a chrome material to achieve a shiny gold effect. The labels had to be designed to accommodate white ink, which is used for white text/graphics when printing on chrome material. The top label incorporates a security strip which ensures that the product has not been opened. The top label was designed to be specifically compatible with the front label in order to appropriately be overlayed. Many rounds of design went into getting the government warning to not only fit onto the label nicely, but to be lawfully compliant. This was a research intensive phase due to the constantly changing laws. The faint rectangular dotted-line indicates the area where the product's strain information (THC/CBD content) will be indicated on a corresponding sticker which is applied during the packaging process. This product is on the shelves at cannabis dispensaries around California right now. Enjoy! Sean Preston Design © 2019. All rights reserved.